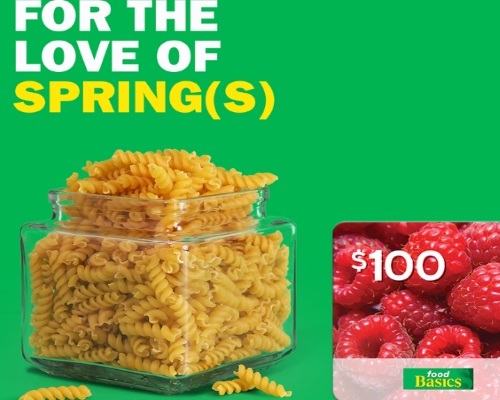 Food Basics is giving away a $100 Food Basics gift card! All you have to do to enter is guess how many spaghetti springs are in the contest picture on their Facebook Page. Write a comment there for your chance to win! Contest closes March 26 2018.